First there was the Hydra 220. Now comes the 175. Compared to the 220 with its three balls, the 175 has two steel weights in its back end. 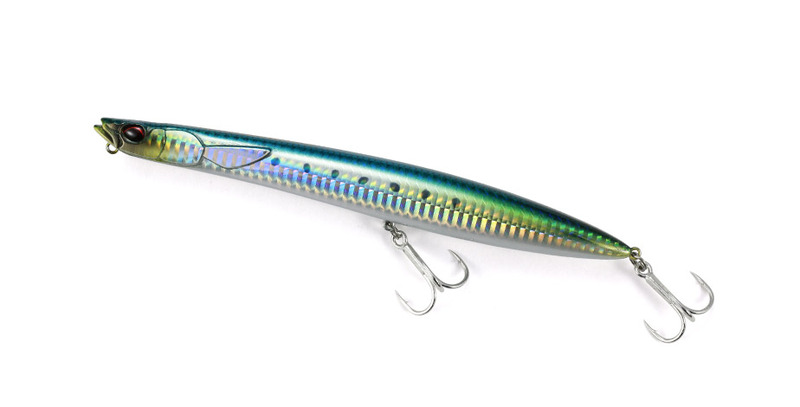 In a smaller package it offers the same streamlined body that reacts quickly to the smallest jerk and the same small head/neck design for enticing movement on the surface. Watch it perform a dynamic skipping action during a fast retrieve and see its energetic jumps during a twitch retrieve. Walk the dog if you need to. Try its full range of moves to get those fish feeding on the surface.